Yey! 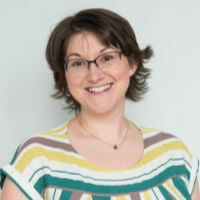 I love this time each month when I get to interview a fantastic woman doing something amazing in the world of project management. 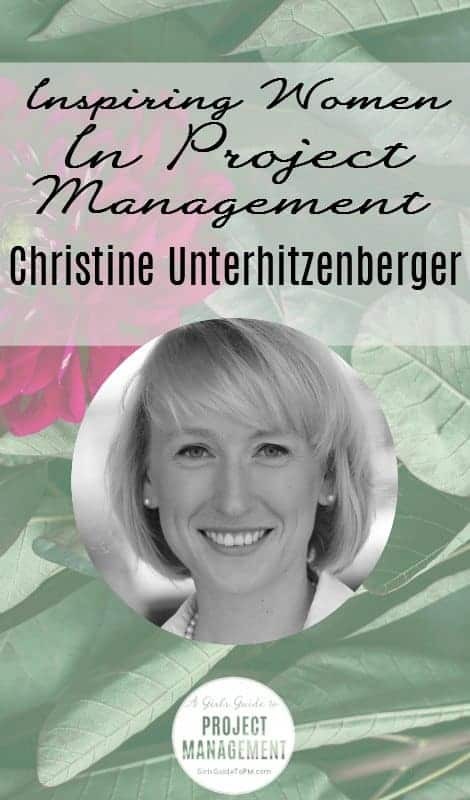 Today it’s the turn of Christine Unterhitzenberger, a practitioner-turned-academic who is researching the social dynamics of project teams and how fairness affects project success. Christine, how did you get into project management? I studied industrial engineering and management with the focus on construction and worked for three years as a construction manager at an architectural office in Switzerland. During this time I discovered that I would like to manage not only the construction site but the overall project as this allows for more influence on the overall result. I decided therefore to do a part-time master’s degree in international project management. During my studies I was offered a job as project manager with EY’s (formerly Ernst & Young) real estate advisory services. I stayed with them for five years, became Manager with the responsibility for a team of project managers and had the opportunity to work on extraordinary projects. Construction could be seen as an unusual choice of career. What attracted you to it? It is beyond words when the construction work is finished and the building is being used for the first time. All the years of hard work come together and you know what you’ve done it for. I was very much influenced by my Dad who is a civil engineer and who sometimes took me on site with him during my school holidays when I was a child. I was fascinated by the number of people involved and the set of skills necessary to construct a building. At that point in time it seemed to me like magic that everybody knew exactly his or her role and what to do. Obviously today I know that this wasn’t magic but project management. I still find it very inspiring to work with a multi-disciplinary team in order to develop buildings that have an influence on our society. It is simply beyond words when the construction work is finished and the building is being used for the first time for the purpose it was built for. Suddenly all the months and years of hard work, of long hours and of intense discussions come together and you know what you’ve done it for. Do you have a favourite project? I had the chance to work on many extraordinary projects, like a high-rise office building in Sydney, a five star hotel in Zurich or a listed ensemble of churchly buildings including a museum near Munich, but the project which has probably been my favourite so far is the Mercedes-Benz Arena in Stuttgart, Germany. Why does that one mean so much? The Mercedes-Benz Arena is a Bundesliga football stadium with a capacity of about 60,400 spectators. The project comprised the lowering of the field, the demolition and new-construction of two stands and the extension of the roof. That’s an amazing project to be involved with. What do you like best about managing projects? For me it’s the combination of different aspects that makes project management really interesting. There is the interaction with a broad variety of individuals who all have different backgrounds. But there is also the integration of different disciplines which on their own cannot create something out of the ordinary, but when brought together deliver remarkable results. Finally there is the introduction of structure to apparently unsolvable challenges in order to make them manageable. I think it is a bit like being the conductor of an orchestra – as a project manager you are dependent on the project team, but the project team is also dependent on you and when you work together you are part of something bigger. You’re now doing a full-time PhD. Why did you decide to move from practitioner to academic? I first started my PhD part-time as I’m convinced that only the combination of industry and academia can bring the profession of project management forward. But last year I decided to take a break from industry and pursued my research full-time in order to be able to fully concentrate on this ground-breaking research. Project management is a bit like being the conductor of an orchestra – you are dependent on the team, they are dependent on you and together you are part of something bigger. During my years as a practitioner I’ve realised that it is not only about tools and techniques in project management, but very much about the people involved in the projects. In my opinion the people are the crucial factor behind a project being successful or not. Unfortunately this is still a very much neglected field in project management. I therefore decided that I want to find out more about this and got the opportunity to do a PhD at Liverpool John Moores University (LJMU). Consequently my PhD is concerned with the social relationships in projects, especially the perception of fairness in teams and its impact on performance. I’ve collected data with a large scale survey and spoken to construction industry professionals. My research shows that the perception of fairness in its different dimensions significantly influences project performance across different aspects, like compliance to budget, time and quality as well as to the client’s satisfaction. My study furthermore shows that these perceptions have a significant impact on different prerequisites of project success making the concept even more influential. What does that mean for practitioners? This means for clients and/or contractors that they can actively influence the performance of their projects by adopting the principles of organisational justice and by putting a focus on the social relationships in the project. Being aware of the social relationships and their impact on the project team and the overall project provides so much more opportunity to influence and to actively manage a team and a project. These relationships have never been investigated before and I am very excited that it has now been proven by research what I’ve experienced before in my everyday working life. I find this kind of working highly exhilarating as it gives me the opportunity to investigate certain topics in depth and to enhance my knowledge and my personality. What will you be doing after your PhD? It’s the combination of industry and academia which has the potential to bring our profession forward. As mentioned before I’m convinced that it is the combination of industry and academia which has the potential to bring our profession forward. Therefore I’ve decided to go back to industry and I’m currently looking for new career opportunities as a project manager on the client side for large scale construction projects. In addition to that I’d like to stay involved in research and will be a visiting research fellow at LJMU. This gives me the opportunity to work on research projects and give lectures in project management. Do you have any tips for women wanting to do a similar role to you, or to take on higher education? In my opinion it is very much about being good in and loving what you do. At my very first project as a construction manager a very experienced and mature team leader from a contractor said to me: “I really enjoy and appreciate working with you. It often happens with female construction managers that they are particularly concerned about being accepted and therefore try to establish themselves by being rude, rough and ‘using their elbows’ which results in the contrary. But you just do your job like everybody else and you do it very, very well.” I‘ve really valued his feedback and tried to keep it in mind throughout my career. 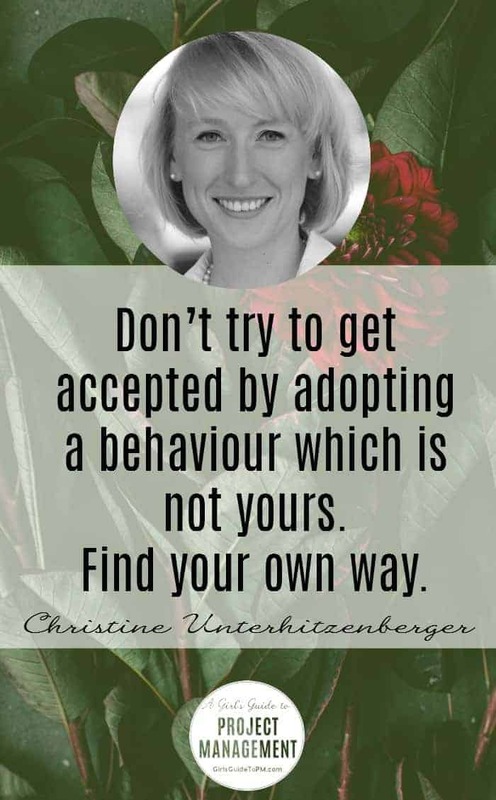 Therefore my tip for women wanting to do a similar role: don’t try too hard to get accepted by adopting a behaviour which is not yours. Follow your instincts and don’t do anything simply because it’s always been done this way – find your own way and bring your own touch to projects. This doesn’t necessarily have to be a big gesture; even small things can make a difference. For example I once took over a project from a colleague. There was a whole day of meetings every week and there was no break scheduled throughout the day, it was simply meeting after meeting. As I took over the project I introduced half an hour of lunch break. This made a big difference as first of all the people were refreshed after the break, but more importantly they used the lunch break to talk informally about certain issues of the project and resolved them during the break. I think working in project management means working in an extremely versatile environment. No day is like the other and no project is like the other. There is a challenge almost every day and it certainly never gets boring. I hope that this inspires young women to start a career in project management. Find out more about Christine on LinkedIn. Great article! I love the orchestra conductor analogy, that never occurred to me before. It makes perfect sense, and will help to explain what I do to my kids!! Thanks! Glad you enjoyed the article. I’d heard the conductor analogy before but I hadn’t thought about using it while talking to my children, I’ll definitely use that!